Almost exactly half way down America’s East Coast between Maine and Florida, Virginia has been right at the heart of the nation’s story since the very earliest days of European settlement. No wonder then, that the Commonwealth of Virginia (as it is formally known) presents so many great historical threads for visitors to explore, and provides so many compelling attractions. Birthplace of eight US presidents, several of whose estates are beautifully presented for the modern tourist, Virginia has good claims to being the ultimate must-see state for anyone who wants to understand what makes the US tick. 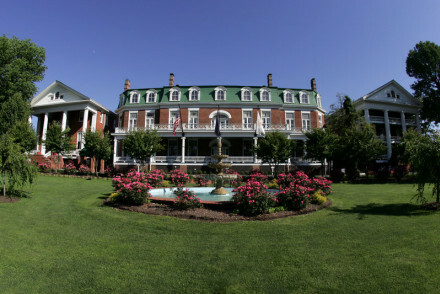 And our pick of the best places to stay in Virginia are all well placed to help you explore this fascinating state. And if you’re not interested in history, well, the geography is kind of compelling too. From the mighty Appalachian mountains in the West to Chesapeake Bay in the East, Virginia’s eight million population inhabits a fabulously rich and varied landscape, whose seasonal changes are legendarily beautiful. Some of the most beautiful parts in the foothills of the Appalachians particularly, are the home of Virginia’s burgeoning wine industry, which has been praised by experts as one of the most impressive up and coming wine regions of the New World. In the 1970s the state tourism authority coined the famous slogan to entice more visitors here “Virginia is for lovers”, now seen by Madison Avenue opinion-formers as one of the pioneering marketing campaigns. But of course, even a great slogan won’t sell an indifferent product, and Virginia is anything but that. From colonial Williamsburg in the East (Lynchburg is another good destination for history buffs) to the stunning displays to be seen in the Shenandoah Valley from the Skyline Drive Scenic Highway in the West, to the capital city vibe that you can feel in Alexandria this is a state of inexhaustible riches, which yields up its glories only on repeated visits. So here’s our selection of the best places to stay in Virginia, a state that combines the best of all worlds, northern and southern, urban and rural, traditional and super-modern. The Inn at Gristmill Square provides the perfect base for exploring Virginia’s woodland in all its glory. At this historic inn amidst the forests, lakes and springs of the George Washington National Forest. you'll find a beautifully restored old watermill, offering great food and a spa. Nestled in Virginia’s wine country, the Oaks Victorian Inn is the old style America of rocking chairs on the porch and fourposter beds. It's close to Claytor Lake State Park so you can combine pleasures of town and country. 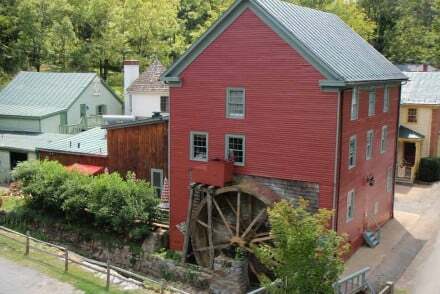 Abingdon is a delightful small town right at the end of Virginia’s well-organised “Wilderness Trail” which follows the route that early Americans took through the Appalachians to the West. 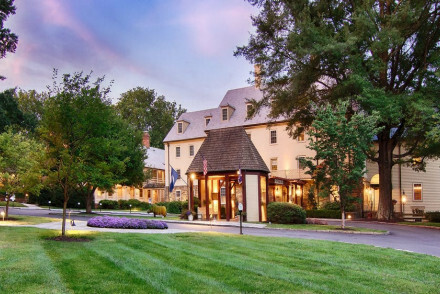 The Martha Washington Inn, an old world place full of antique charm, is the best place to stay in this culturally rich (with famous theatre) Western Virginian settlement. 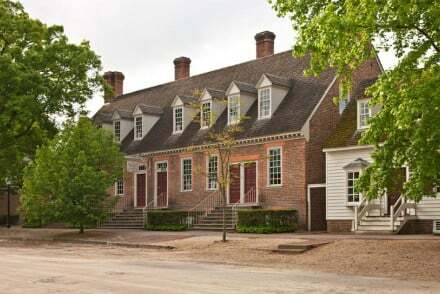 The historically authentic, colonial Williamsburg is the main attraction for this part of Virgnia, and this long-established Williamsburg Lodge, with its large classically decorated rooms, is a great place in which to return to the 21st Century. Great choice of bars and restaurants too. 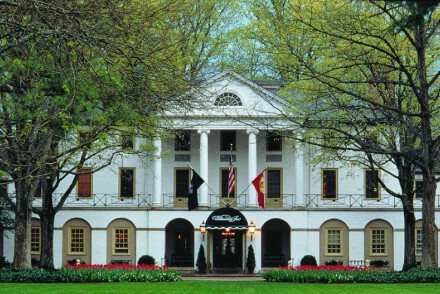 There's more than tinge of the “Old South” to be savoured at the Williamsburg Inn. a neoclassical property, with grand pediments and arches and high ceilings. The spa is the best place locally to soak away the pleasant exertions of sightseeing. 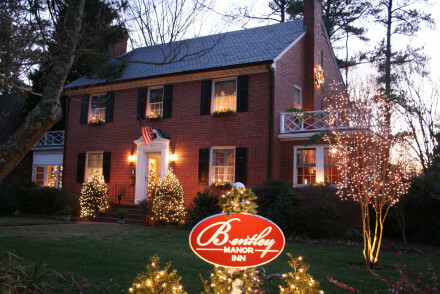 Bentley Manor Inn is an Intimate and cosy town-centre B&B, close to Williamsburg’s “Revolutionary” attractions, like the Governor’s Palace. Step back in time, without having to suffer old world discomfort. 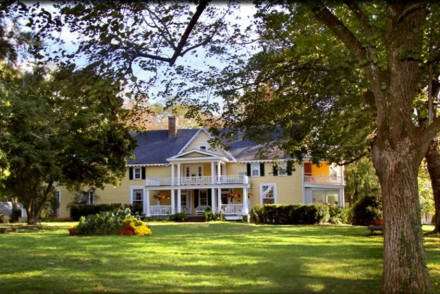 Prospect Hill Plantation Inn offers a perfect hideaway in the foothills of the Blue Ridge Mountains. Snuggle up in front of bedroom fireplaces, or take romantic walks in the beautifully kept old gardens, or along the James River. 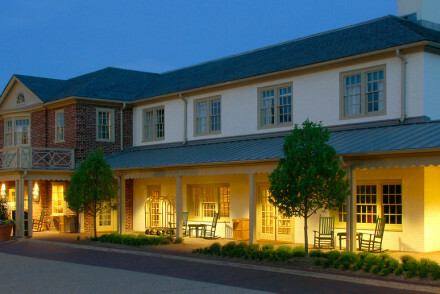 Goodstone Inn in Middeburg is an ideal place to bring someone special. With wonderful views over the Blue Ridge Mountain. it specialises in cooking up fabulous local ingredients, and is surrounded by glorious woodland trails. 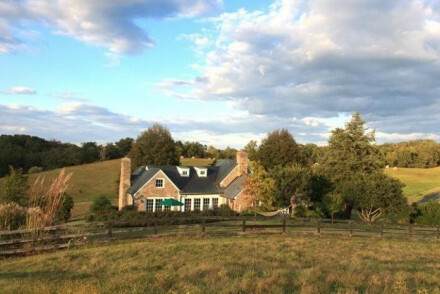 Not to be confused with Washington DC of course, the delightful mid-state village of Little Washington is located In the heart of Virginia’s wine country, and the Inn at Little Washington is the perfect romantic botlhole, commanding fine views over the Blue Ridge Mountains. A great wine list compliments the ever-changing menu. Nothing here that fits the bill? Browse through our list of the best places to stay in Virginia, expand your search to include our recommendations in Washington DC, or contact a friendly guru for advice. 1939 Williamsburg Lodge opened its doors and maintains the blue tiled floors, folk art and home-away-from-home atmosphere. Large, classically decorated rooms offer a respite from a day exploring the local history. From old-world taverns to modern restaurants, one is spoiled for choice. Spa days too! Set in an imposing historic neoclassical building. Warm, simple and stylish, the design is refreshingly at odds with its institutional past. Manicured lawns spread from the patio, an ideal spot to sip evening cocktails from the bistro-bar. 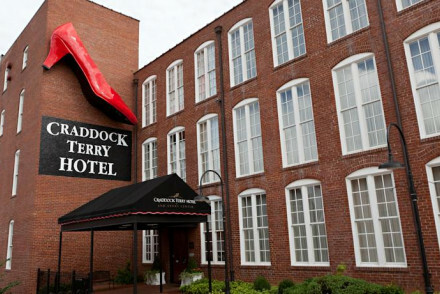 A smart hotel set very close to the downtown area. City Style - Both grand and historic yet with a young contemporary feel, right in the heart of the town. This modern hotel is part of the Kimpton group known for their 5* hospitality. Large rooms exude comfort with all mod-cons and tiled bathrooms. BRABO Restaurant is a local hangout with contemporary cuisine and a buzzy bar. Business facilities, a spa with a range of treatments to relax and kick back. Sights nearby - George Washington Masonic National Memorial. Local markets - King Street's Market Square and City Hall. An enchanting redbrick B&B in the historic town of Williamsburg. Traditional rooms with wooden beds, artisan lace and bay windows overlooking the charming ramshackle gardens. Intimate, cosy and inviting. Sights nearby - Visit the historical sights of Revolutionary city such as Governor’s Palace, Anderson’s Blacksmith Shop and Capitol building. Quirky but comfortable boutique hotel in backwoods Virginia. This sympathetically converted former shoe factory is filled with exposed beams and brick. Large rooms have high ceilings, big windows and are filled with retro pieces. There are two restaurants, a gym and a friendly hotel dog on site. Great walks - The Riverwalk Trail, along the banks of the James River, is great for strolling and cycling. Sights nearby - The historic house 'Point of Honor' former home of local hero Dr. George Cabell. Neoclassical southern estate welcomes guests with pediments and arches, fireplace and high ceilings. Large, classically decorated rooms overlook the golf course, pool and Williamsburg. Regency Room serves award-winning dishes accompanied by fine wines. Relax at the spa or explore the local history. Great walks - Around the golf course or around Williamsburg. 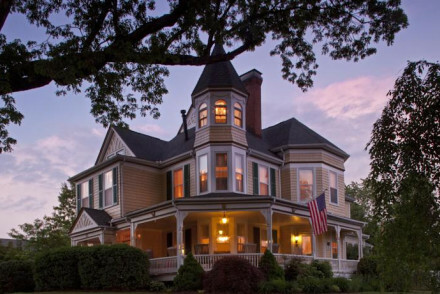 This unique and charming Inn perfectly ties together Victorian elegance with modern comforts. Complete with old school wrap around porch, rocking chairs, fourposter beds and homely fireplaces. Perfect for vineyard hopping, antique shopping, trekking or golfing. A home away from home. Fishing - Claytor Lake State Park has excellent fishing as well as many other outdoor activities. Private Hot Tub - Book the Garden Cottage for your own private outdoor hot tub and sauna! Great walks - Hike through the wildflower mountains of the Blue Ridge Parkway. Escape the bustle of modern life at this authentic 18th century plantation hideaway. Original antique furnishings, bedroom fireplaces, mouthwatering cuisine and impeccable service give this property it's old world charm. A perfect getaway in the foothills of the Blue Ridge Mountains. Kayaking - James River “Reeling & Rafting” tube, canoe, kayak, or raft down the historic James River. Great walks - Explore the 40-acre grounds with manicured gardens and ancient boxwoods. A collection of 26 buildings set within 'the largest living museum in the world'. Get a taste of 18th-century life through the area's architecture, costumed interpreters, and historical re-enactments. Find elegant rooms with traditional furniture, wooden floors and sash windows. A unique stay. Local exploring - Situated in the heart of the historic centre. Step out the door and explore the city. Sights nearby - Immerse yourself in 18th century Williamsburg in the re-enactments in the Historic Area. Heart of George Washington National Forest - dense trees, lakes & ancient mineral springs. Converted mill home with classically decorated rooms and complimentary breakfast to start the day. Waterwheel Restaurant offers a seasonal menu. Relax by the pool, head to the spa or see nature at its finest. Fishing - The reservoir is deep enough for both warm water fish (bass, catfish, sunfish, crappie) and coldwater fish (trout). Sights nearby - Walking distance from the Inn you shall come across Bath County Historical Society Museum in Warm Spings. Great walks - Seek out the Loop Trail on Lake Moomaw. Warner Hall Plantation built in 1642 welcomes guests with true southern hospitality. An elegant drawing room, wrap around river view porch & classically restored rooms ensure your every comfort. Fabulous views over the lake and Severn River. A three course breakfast starts the day just right! Fishing - Take one of the boats onto the lake and embark on an afternoon of fishing in a stunning setting. Great walks - Seen from the porch the Severn River is a great guide for a walk. Birdwatching - Nature at its finest. Sights nearby - Rosewell Ruins. Great walks - Around the golf course, or into town, there is always time for a leisurely stroll. Fishing - Schedule a lesson or take to the lake yourself with some fly fishing. Cooking classes - Cooking classes and demonstrations are a popular activity. Sights nearby - Oak Ridge Estate is 200 years old and worth a visit. 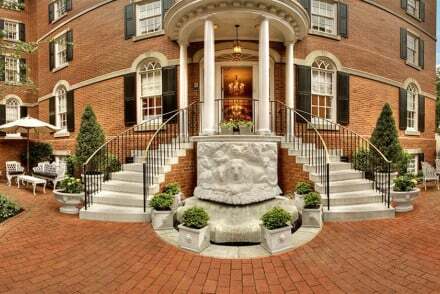 An 1832 private residence turned luxury stay for Presidents and all. Dutch-baroque grandfather clock and grand staircase give a warm welcome, along with the plush and elegant rooms. Grab a meal at 'Sister's' all-American grill in the courtyard, explore the local haunts or relax at the spa. Literary - The Round-Table Library has more than 1000 American authors in its shelves. Old world charm meets modern comfort and service at this luxury boutique hotel. 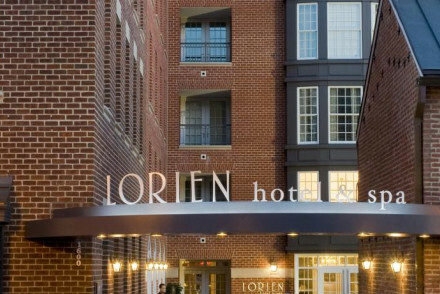 Enjoy the unique charm of Old Alexandria Town, while only minutes from downtown Washington DC. The perfect destination to mix business and leisure. Great walks - Stroll around the beautiful and historic Mount Vernon Estate and Gardens. 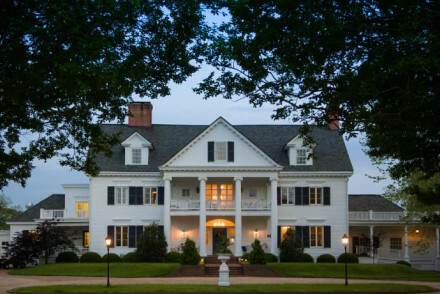 A wonderfully romantic Manor house, sitting on 100 acres just outside Charlottesville, Virginia. 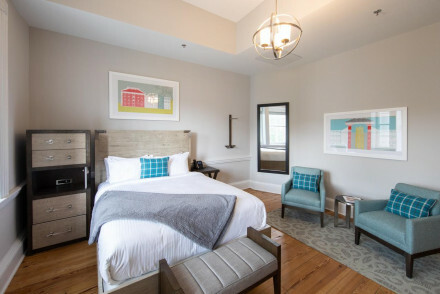 The rooms offer effortless elegance and modern comforts, with hardwood floors, velvet upholstery and vibrant artworks. Feast on farm to fork organic produce and local wines at the fine dining restaurant. 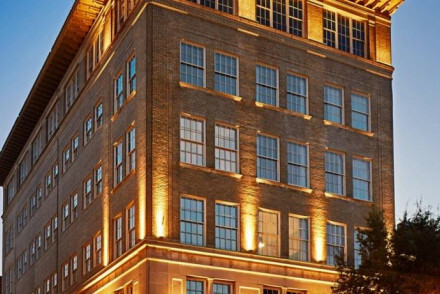 A chic and stylish hotel, in Richmonds quirky artist district sets a lively tone. Unique art adorns the walls of the beautifully restored and crafted rooms. This landmark property boasts an art gallery, boutique shop, gym, restaurant and an open-air rooftop bar with incredible city views. Charming. City Style - An all encompassing design- think beds crafted from original 100-year-old Virginia wood beams and wall pieces by local artists. Foodies - The lobby restaurant serves artisan cuisine, as does the coffee bar and local brew rooftop bar with great views of the city. Local markets - This thriving artists' district heaves with galleries and small independent boutiques. 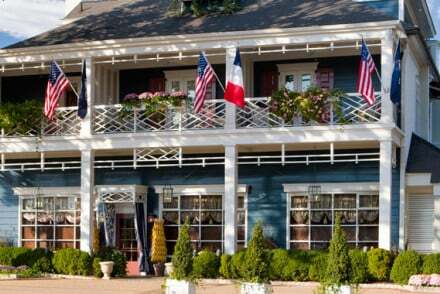 Romance can be found in this 265-acre Inn with French and British 18th country decor. Classic style rooms are the perfect place to rest your head after a day of exploring the Blue Ridge Mountains. The Farm-to-Fork ethos is adopted for all dishes and adds to the fine dining experience. Kayaking - Explore the waters and embark on a Goose Creek canoe trip. Great walks - Explore mile upon mile of the Goodstone trails. 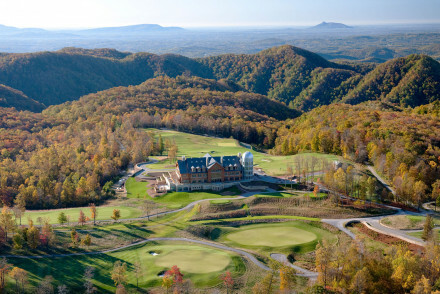 Primland is set amongst 12,000 acres of beautiful rugged countryside in Virginia. With a variety of homely lodges, cottages and even tree houses-all of which boast magnificent views of the area. Be sure to visit the observatory for a spot of stargazing! Multiple restaurants. A top-notch retreat. Country Escape - Make the most of Primland's wonderfully serene rural location, nestled on 12,000 acres of private lands. Active Holiday - There are a huge number of activities on offer on site, guaranteed to get you out and about! Groups - The ideal group getaway with options of renting entire cottages. The American flag welcomes guests to this boutique townhouse resting in Virginia's wine country in the foothills of the Blue Ridge Mountains. Four-poster beds make up the classic style rooms complete with fireplace. 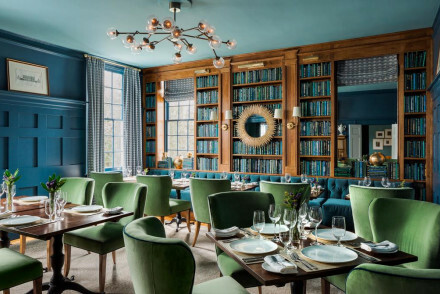 Award-winning wine list compliments the imaginative and ever-changing menu. Sights nearby - Head to Sperryville, resting on the Thorton River, was founded in 1820 is home to a range of restaurants, boutiques and cafes.